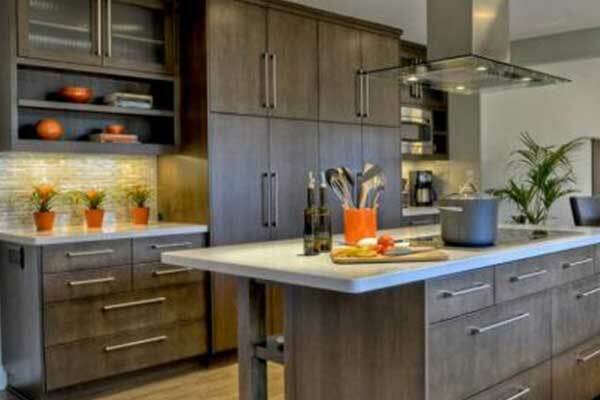 Don't let your Kitchen get outdated with old Cabinet & Countertop design. Get a brand new look with custom Cabinets & Countertops that will increase your Home's Resale value and make your neighbors jealous! 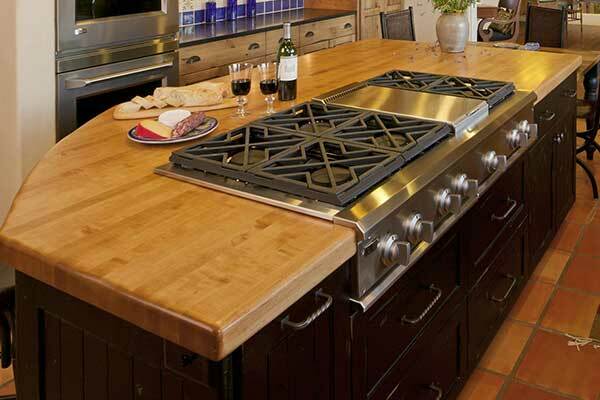 What Can We Do For Your Cabinets & Countertops? Cabinet refacing is a great option if you're looking for a new look in your kitchen but you're on a budget. We replace the outside of the cabinets only and the turn around time is fast. We can custom make your cabinets for any style, shape, size, color, wood and finish you need. 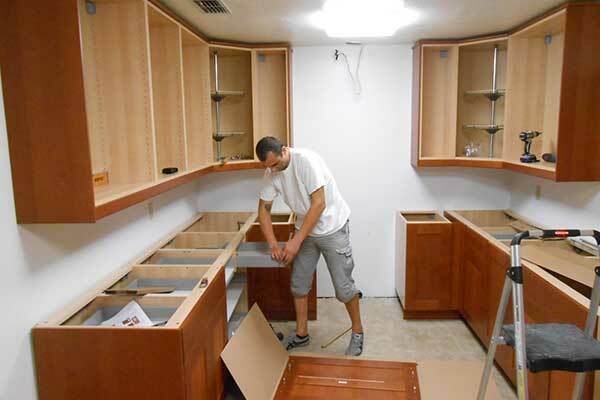 Custom Cabinets can be installed in bathrooms, kitchens, offices and more. 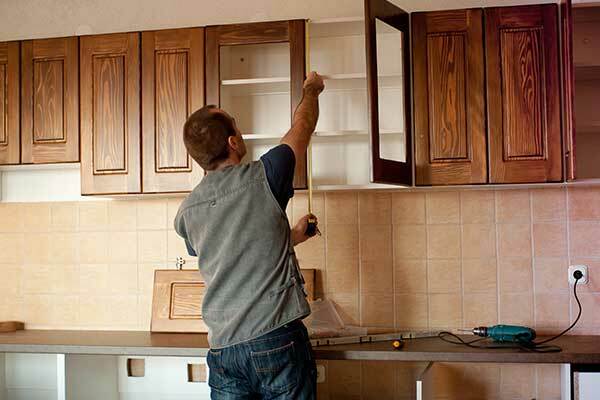 Installing new Cabinets into your kitchen or anywhere in your home can aesthetically change everything in a room. Imagine how beautiful your kitchen will be with new Cabinets! 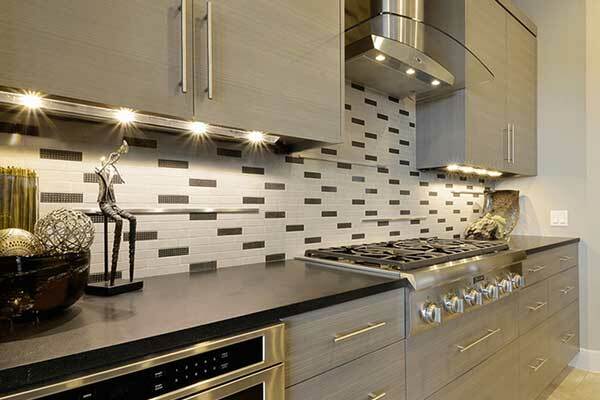 Cabinet Lighting in the kitchen can not only make the room look modern and unique but it's also very useful. We can use LED or non-LED lighting depending on your preference. Even if your kitchen or bathroom has a countertop that is unique we can build a countertop that works and looks great. We can install Laminate, Marble, Quartz, Granite or Natural Stone. 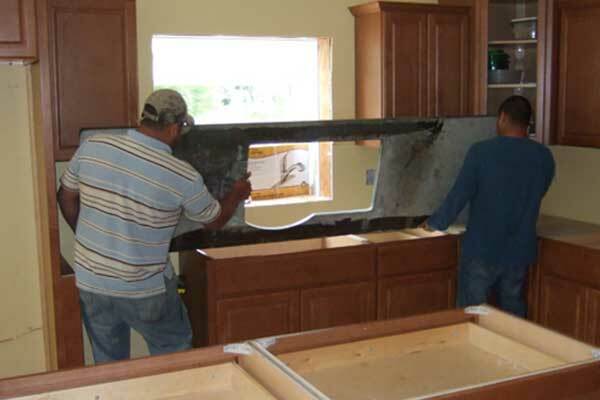 Our professionals can install countertops that will transform your bathroom or kitchen. We can install Laminate, Marble, Quartz, Granite or Natural Stone. We can also repair damaged countertops. Cabinets are the most important part of your Kitchen. They should bring Style and Organization. Have any questions about our Cabinets & Countertops? Please feel free to reach out and we will try to answer your question as soon as possible.